A few years ago, one of my besties opted to have a co-ed Kentucky Derby Day party instead of a bridal shower – and it was so much fun to get dressed up for. I went on a hunt to find a cute outfit, but I had no idea where to buy fascinators that didn’t break the bank… and then the following year, I found myself in Saratoga, NY for a girls weekend away and once again, I was looking for the same thing. As part of my hunt to find fascinators for myself, the past two years, I’ve posted my Derby Day outfit picks (here, here & here) – and recently I’ve noticed that you are all searching for exactly that! This post is a work in progress, as some of the retailers I’ve found fascinators at in the past don’t seem to have them out yet, but here are a bunch of options for you in the meantime. Use the widget below the pic to scroll through the fascinators and dresses to pick out your outfit! So many of these dresses would also be perfect for spring/summer weddings or showers! Last year, one of my girlfriends had a Derby Day-themed bridal shower and we had so much fun getting dressed up for it. 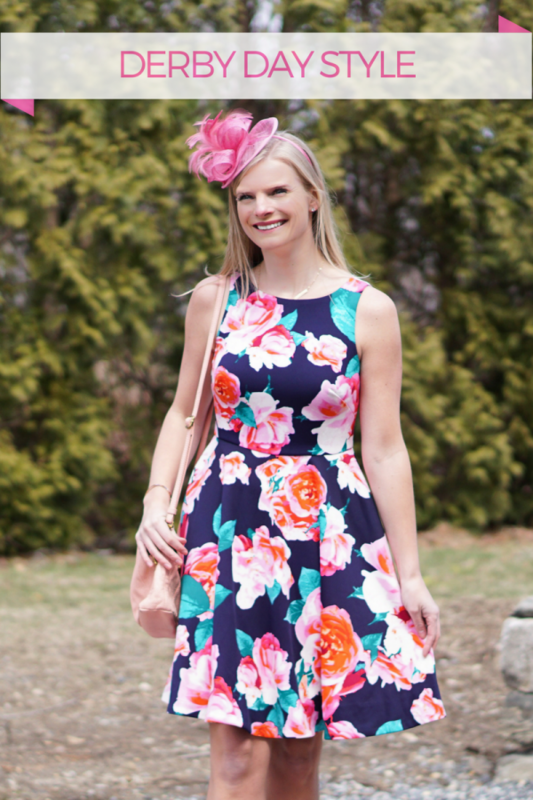 When I was looking for a fun outfit to wear, I put together a post with lots of Derby Day outfit ideas because I didn’t see much for inspiration online. That was one of my favorite posts of the year and I wanted to bring back the topic with my picks for this year. 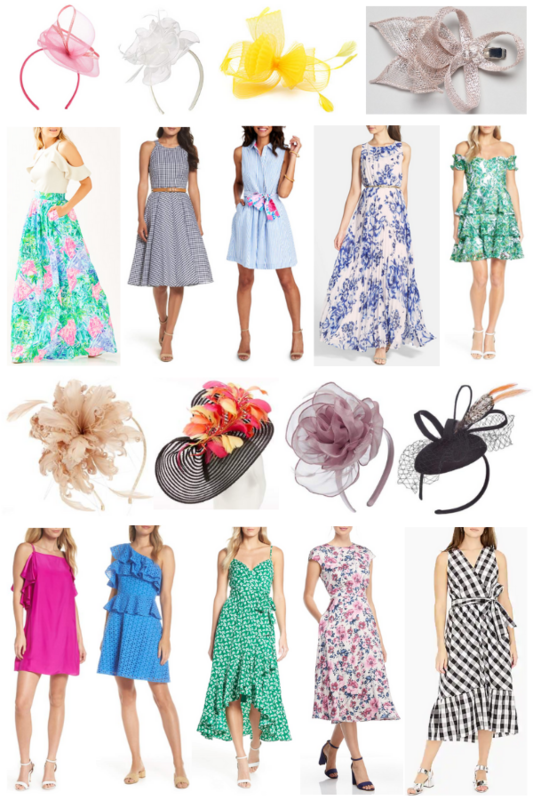 Shop some of my favorite dresses, fascinators and hats using the widgets below (just scroll through & click the pics! ).